Although many fans of The Elder Scrolls cheered at the introduction of The Elder Scrolls Online at E3, the divisions within the fanbase since then have morphed into warring creatures like Godzilla vs. Mothra, and this column is Japan. Although all of our buildings are being smashed by the battling brutes, it makes for great entertainment. I’m cheering both sides on. I love a good debate. Despite diligently scanning my spam folder every day this week, I am still without a beta invite. I think ZeniMax is playing hard to get. I promised I won’t divulge any secrets; I just wanna make my Khajiit Nightblade. Is it asking too much to get a chance to explore the Tamriel dungeons? Obviously, it is. However, we did get a taste of ESO dungeons in a blog this week. And it looks as if we have an exciting combination of RIFT-style classes and Guild Wars 2 combat to look forward to. Hopefully, it’s the best of both without the flaws. Guild Wars 2 claimed to shun the modern tank/healer/DPS trinity. The game is fun, but large scale fights turn into a DPS race and less of a strategic fight to the death. Don’t get me wrong; I did find the dungeons in GW2 fun. And they weren’t without strategy, but… maybe it’s that they were missing the strategy I was looking for in an MMO. The Fractals in GW2 that were the most fun for me were the ones that required a water-specced Elementalist and a tanky Guardian to lead the charge. I just don’t think there is a way around the trinity, unless someone invents a completely new system. Like previous MMOs, The Elder Scrolls Online embraces the tank/healer/DPS version of the trinity. “These roles are still important for a successful dungeon group in The Elder Scrolls Online,” ZeniMax said in its blog post, “but our open-ended skill system gives you much more flexibility.” What the bleep does that mean? Well, I’m going to tell you. Just like our friends in Guild Wars 2, we can weapon-swap in ESO. We can carry daggers when we want to stabby stabby, and if we are in a benevolent mood, we can carry a restoration staff. Just don’t ask where we put the staff when we are carrying the daggers. (On our backs, of course. Where were you thinking?) And just as in GW2, each weapon can have its own set of skills that we set before the dungeon begins. Picture this: I’m with my four-man minstrel group. I play the left-handed lute, and we call ourselves the Beetles because we love red vegetables. Then suddenly we stumble on a cave with a giant wamasu lurking inside. We decide to fight it because we love fat loots. Jhon takes lead because he’s the front man tank. When the wamasu starts smashing and shooting lightning at Jhon, it’s time for Jorge and me to start stabbing. But during the fight, our healer Ryn-go decides to take a dirt nap after being hit by one of the creature’s AoE tail strikes. Apparently, he’s the fail member of the group because he didn’t see the charge-up tell creatures will display before a large strike. Or maybe he was out of stamina and couldn’t dodge. Never fear; I can switch my weapon in the middle of combat and take over healing because beforehand I had set up a different toolbar for when I am holding my restoration staff. Granted, we are still at a bit of a disadvantage because we are down a person, but we still might be able to survive the fight. I’m looking forward to this kind of system. We will have a massive amount of flexibility, and it won’t matter that Ryn-go is the weakest member of the band; the other three musicians can pick up his slack by weapon swapping. Usually debates in the comments scare me, but last week, I enjoyed reading your thoughts about immersion and Bethesda’s stepping away from calling the game an MMO, even though it is really an MMO. First, BrickFrog talked about how upset he is about the lore in The Elder Scrolls Online. I’m not as much of a lore hound in TES as I am in, say, Star Wars, but I can certainly relate to dysfunctional canon. I don’t agree with his comments about combat’s being boring, but the lore questions did make me wonder a bit. “Why isn’t the Ebonheart Nord/Dunmer/Argonian faction being led by the Living God council of Morrowind?” he asked, “or the sentient super-intelligent hist trees of the Black Swamp?” I really wish I had the answer to that one. I suppose the creators decided to take a more secular approach to the pact, but I am interested in seeing what role the rulers of each of those sub-factions plays in the overall story of the game. Although I guess it’s possible, I don’t think the lore junkies at ZeniMax would let go of that kind of established canon easily. 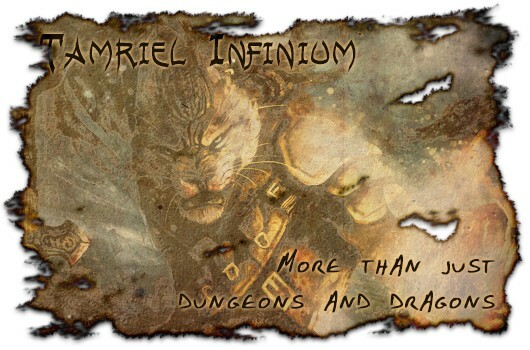 If you haven’t checked out last week’s Tamriel Infinium, I suggest you jump over there now to read it. The column might get you thinking, but I believe the comments really speak to the concerns of TES fans. This week, I want to know what you think of group roles. Some would argue that group roles should be solidified with the class. They believe that a good healer cannot also play a good DPS or a good DPS can’t tank, too. Are the mindsets required for each role too far apart for one person to effectively be reliable in multiple roles? I especially would like to hear from former RIFT players who might have seen success or failures in that game. See you next week.